The David Clark H10-13HXP features a panel mount module for utilising the helicopter's power for the ANR, a 5 ft detachable coiled cord with single 10 pin plug with a snap-lock - quick-release feature and on/off switch. With the David Clark H10-13HXP you'll hear and feel the difference immediately when the ENC is turned ON. It instantly gives noise cancellation actually improves by an additional 12-17 dB. For total comfort in flight the Super-Soft, Double-Foam Headpad improves the wearability and is wider and more tapered with 60% more surface area in contact with the head to dissipate headset weight. 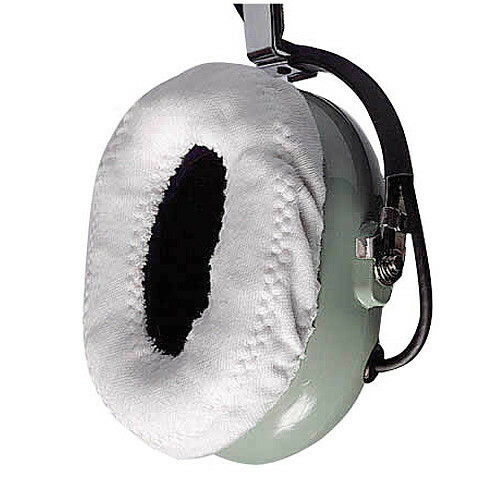 The David Clark H10-13HXP Helicopter Headsets unique center "hinge" actually lets the headpad "breathe" for greater comfort, while the Comfort-Gel Ear Seals have a patented undercut design and are 26% lighter and allow 30% more interior room for your ears, making for a quieter, more comfortable flight.The ENC system and the exclusive M-7A noise cancellation electret microphone provide unsurpassed performance and clear, crisp transmission and reception. Stereo compatible for use with stereo intercom and cabin entertainment systems.